After warm welcome from our guide at airport, transfer to local restaurant for dinner, then check in hotel for rest. After hotel breakfast, transfer to Tai’erzhuang by coach (about 4.5 hours). Visit Shuanglong Lake Scenic Spot (Bird Watching Park, include battery car), which is located on the south side of the Taierzhuang Xingzhong Road extension line (old canal bridge), focusing on the projects of the wild bird ornamental garden and the ecological experience garden. It combines natural and wild ecological wetland, charming water culture and pure pastoral scenery as a whole. 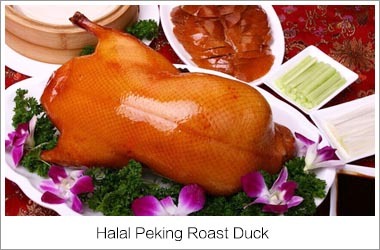 It is a cultural ecological wetland with the protection of wetland ecological resources, wild bird ornamental, scientific research, science popularization, artistic creativity and tourism and leisure vacation. 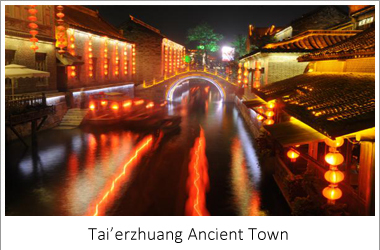 In the evening, we will visit the World Cultural Heritage site - Tai’erzhuang Ancient Town (Including 30 minutes river cruise). 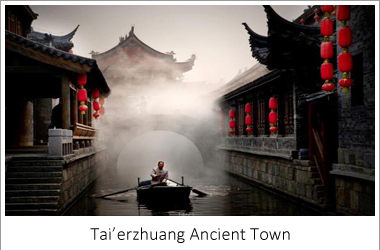 Tai'erzhuang Ancient Town is at the center of the Beijing–Hangzhou Grand Canal, nestled in Tai'erzhuang, Zaozhuang City, Shandong Province (actually at the intersection of Shandong, Jiangsu, Anhui, and Henan Provinces), and it boasts of being the most beautiful water town in China. This town boasts 18 ponds and 15 kilometers (9 miles) of streets and lanes along the waterways, as well as old ferries. A boat trip can be taken to tour around the town. In the evening, we will have featured cruise along the town river to admire the beautiful evening view of the ancient town. Then check in hotel and have good rest. After breakfast at hotel, transfer to Qufu by coach (about 2 hours). 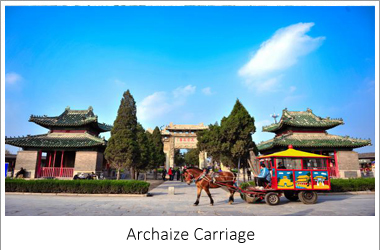 We will have a tour in this ancient town by taking Archaize Carriage to have a sense of the cultural atmosphere of the eastern holy city. 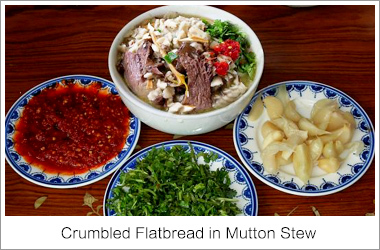 Qufu is a city in southwestern Shandong Province, China. 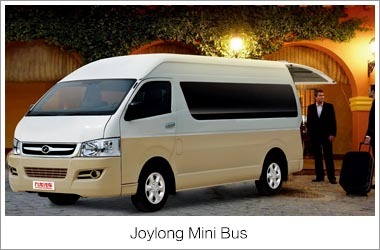 It is located about 130 kilometers south of the provincial capital Jinan and 45 km northeast of the prefectural seat at Jining. 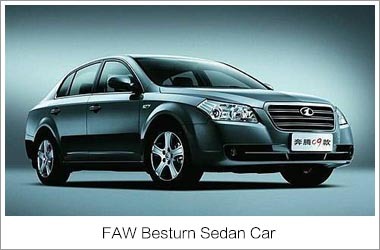 Qufu has an urban population of about 60,000, and the entire administrative region has about 650,000 inhabitants. 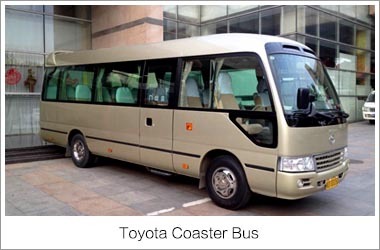 After lunch, take coach to Taian (about 1 hour). Upon arrival, we will visit Dai Temple. Situated to the north of Tai'an City, the Dai Temple is a Taoist temple as well as the largest and best-preserved architectural complex on Mt. Taishan. 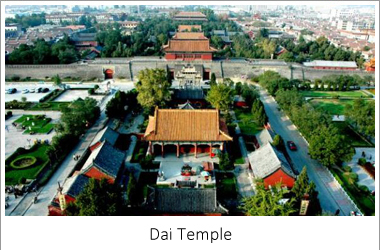 Also called the East Dai Temple, it is one of the four most famous ancient architectural complexes including the Forbidden City in Beijing, the Temple of Confucius, the Kong Family Mansion and the cemetery of Confucius in Qufu, and the Mountain Resort in Chengde. Followed by visitng Tiandi Sqaure which is the main gate of Tai Mountain. In this square, we will have chance to understand the origin of the traditional Chinese culture and the place of heaven and earth, the historical origin of the Millennium monarch held in Taishan, Dengfeng. Afterwards, we will check in Taian hotel. After breakfast, transfer to Qingdao by coach (about 4.5 hours). 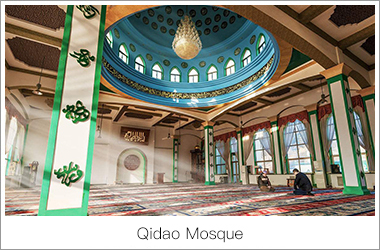 Upon arrival, visit the iconic site Zhanqiao Pier which is situated in Qingdao Bay, along Taiping Road, near Taiping Road's intersection with Zhongshan Road. Construction of the pier was started in 1891, and was completed a year later, in 1892. It was Qingdao's first pier. Prior to the construction of this pier, Qingdao was a tiny fishing village. 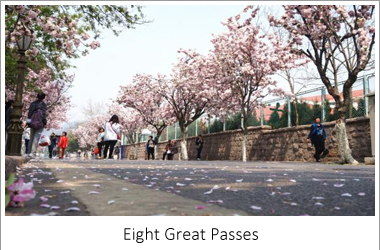 Straight after, we will visit in Qingdao is the Eight Great Passes ( also called as “Badaguan”) which is made up of streets named after great military forts of the ancient times. It was originally a residential area for the Germans built when Qingdao was a German protectorate (1897-1914). Next stop, we will visit Xiao Yu Shan Park to have a panoramic view of Qingdao City. As the first park hill with a style of classical gardens in Qingdao, this top terrace of this park offers tourists a fantastic panoramic view of Qingdao. Then we will visit May Fourth Square. 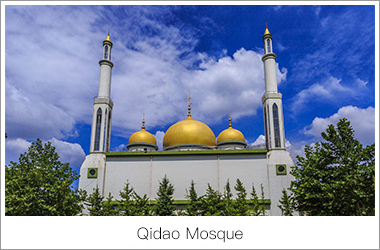 The square is one of the most popular tourist attractions in Qingdao and is bordered by the city government to the north, the sea to the south, and residential and commercial buildings on either side. 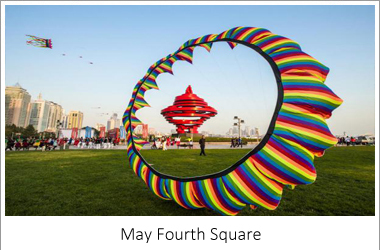 On pleasant days May Fourth Square fills with young couples on the ground and kites in the air. Then have a visit to Qingdao Olympic Theme Park. This iconic park was built in 2008. As you step inside, you will find there is a structure of a huge torch in the center of the park as a symbol of the 2008 Olympic Games. In the evening, free shopping at Qingdao Taitung Night Market which is the largest commercial street in Qingdao. Check into the hotel for rest after dinner. 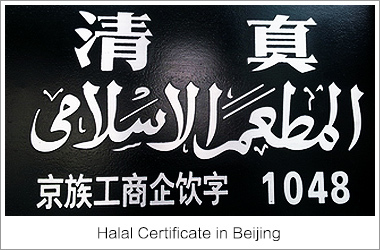 After breakfast, we will visit Tsingtao Beer Factory, which is the home of China’s Iconic Brew. 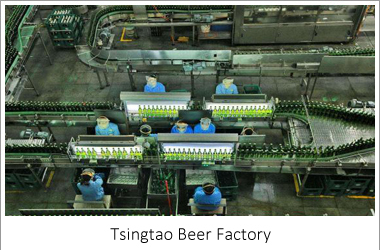 Tsingtao Beer is a world-famous manufacturing enterprise special in brewing. German Beer Company Qingdao Branch established in 1903, China’s first brewing factory that built with European technology was the predecessor of the Tsingtao Brewery Company. 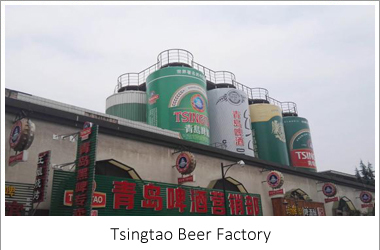 During the visiting, we will have chance to see the production line of the beer factory to study how each can of beer is produced, as well as sip a pint of Tsingtao Beer to feel its amazing taste. After lunch, transfer to Qingdao airport to take homeward flight return to Jakarta. Remark: The above flights are only for your reference currently, and final schedule will be informed once they are authorized by National Civil Aeronautics Administration. 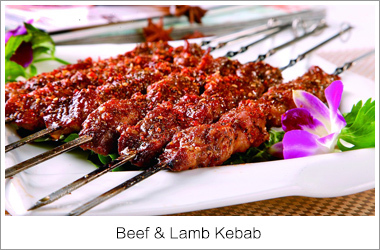 For reservation, simply send an email to info@islamiChina.com. 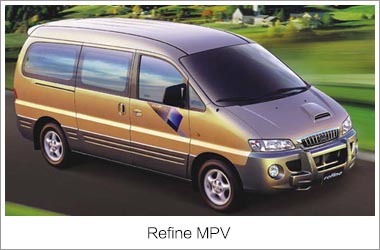 For information on reservation, payment and cancellation please read our Terms & Conditions. Gloria Hotels & Resorts, which was formed in 1992, is a Hong Kong registered Hotel Consultancy, Management and Investment Company.Over the past few years, Gloria Hotels & Resorts has rapidly expanded its network of locations both domestically and globally due to the implementation of the company’s effective development strategic plan. 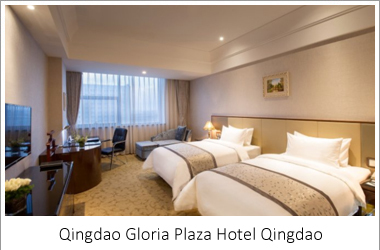 Its future plan will be primarily focused on extending its growth of hotel network within potential developing cities in the People’s Republic of China.Today, Gloria Hotels & Resorts has gradually established itself as one of the leading and reputable hotel management groups in China. Having achieved that, Gloria Hotels & Resorts is still aggressively strengthening its Sales & Marketing structure, consolidating its branding strategy and continuously refining its operational processes. 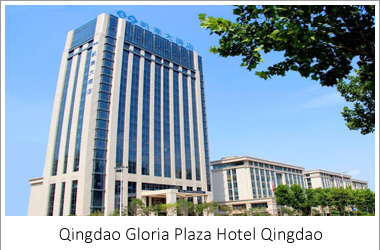 With a strong belief in its unique management module of “International Outlook with Chinese Flavour”, Gloria Hotels & Resorts has managed to establish its popularity in the domestic market.As it moves to acquire more management contracts in the near future, Gloria Hotels & Resorts is well set to achieve its goal of managing a portfolio of 120 to 150 hotels within the next three years. 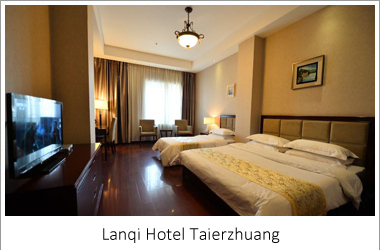 The Lanqi Hotel (Zaozhuang Taierzhuang Ancient City Minguo Inn) is an ideal choice for travelers who want to take in the sights and sounds of Zaozhuang. 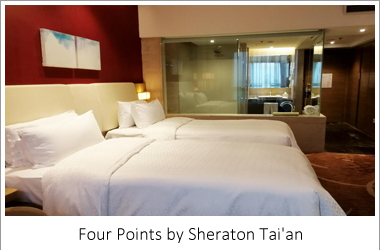 With Free in-room Wi-Fi and easy access to the Taierzhuang Ancient Town Scenic Area, this hotel makes a convenient choice.In terms of transportation, Zaozhuang Railway Station is approximately 56km away. 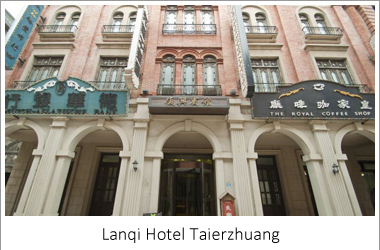 Guests will find Taierzhuang Ancient City located just a short distance from the hotel.When guests have some time on their hands they can make use of the onsite facilities.According to our guests, this hotel provides a very high level of service. This hotel is particularly popular with those traveling with families. 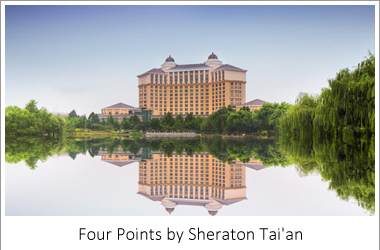 Welcome to Four Points by Sheraton Tai'an. With a great location on the city's main street, the hotel is just three km (1.8 mi) from the Tai'an Industrial Development Zone, which is home to many multinational companies.Visit on-site Chinese restaurant or Eatery Signature Restaurant for a great meal or come by the Lobby Lounge to simply relax.Business travelers will appreciate the 10 meeting rooms totaling almost 2, 000 square meters of function and meeting space, a business centre, and full hotel Wi-Fi complimentary internet coverage to meet your every need.